Today I am going to talk to you about 3 most popular ways to get married in the Cotswolds. I have experienced and coordinated all three ways as a Cotswolds based wedding planner. I love them all and couldn’t choose one in particular. You can decide for yourselves which one is your favourite. 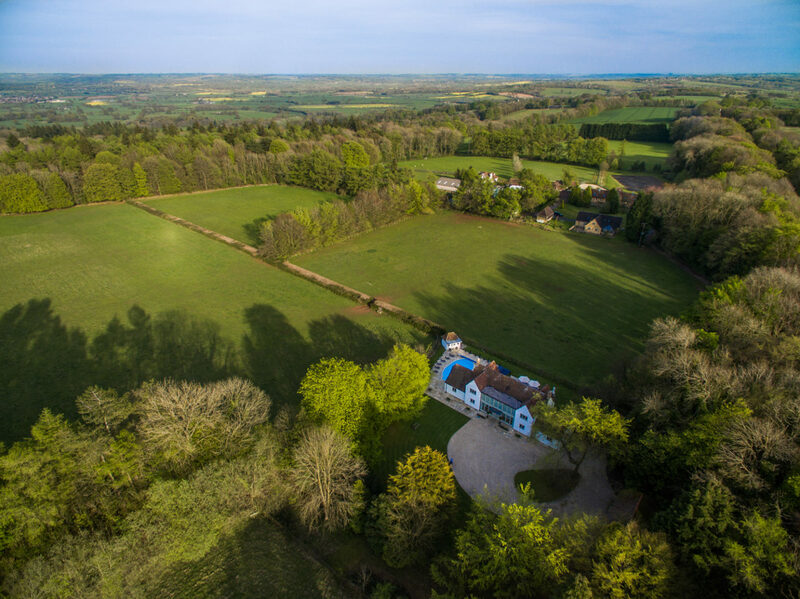 The Cotswolds is a stunning part of the world that attracts 38 million visitors a year to enjoy numerous country walks and cosy Inns as well as very specific, picturesque architecture. The Cotswolds or as it is officially ‘The Cotswolds area of outstanding natural beauty’ was established in 1966. It is an area of rolling hills, ancient villages and market towns where time stood still. Your wedding in the Cotswolds will always be magical, relaxing, and a family event as everyone needs to stay very close by. A popular choice as lots of local families have big enough land or a garden to build the marquee on. Those who don’t have this opportunity would then seek land at a local Village hall, sports venue, or a park to pop the marquee on. Another great way to have a marquee wedding in the Cotswolds is to hire a Villa or a Cottage with a land. That way you will have accommodation for the closest family and a Bridal suite to get ready. I love working with ‘GiveProperties’ and ‘the White House Villa’ that sleeps 14 guests in Moreton in Marsh. The vast land is then big enough for a 150-guest marquee wedding. As you are building an event from scratch it is always advisable to hire professional help. You are dressing and styling a wedding that is a blank canvas… literarily. 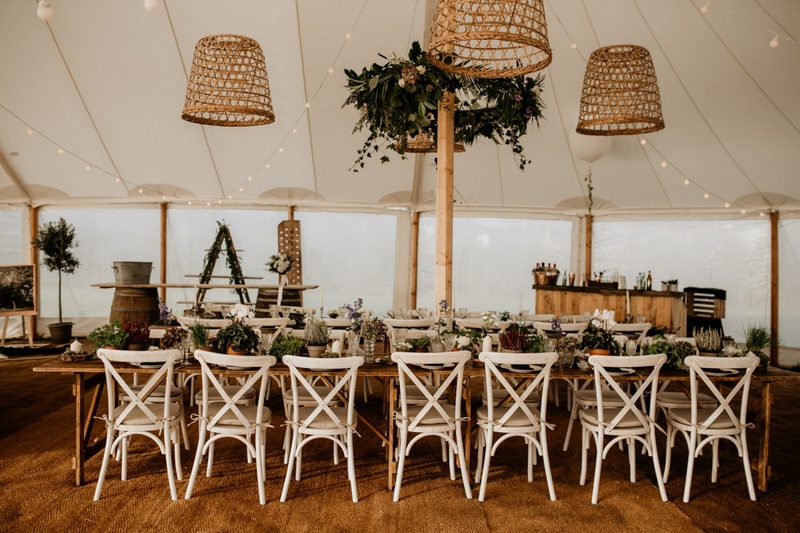 Your catering and bar will be a big part of a marquee wedding as you need to find yourself a reliable supplier that either specialises in the outdoor events or can manage a mobile kitchen. Not only that, the food and drink service will also be a different ball game comparing to the cosy hotel where everything is built in. There are some stunning hotels and Inns across the Cotswolds built with traditional ‘Cotswold stone’. A Cotswolds Manor would be the quintessential English country estate set in vast gardens. You are in for a treat if you like history and traditional looking houses that have been refurbished in a classy way. I don’t even know where to start: For instance, you can take over the Foxhill Manor, a private Cotswolds manor house overlooking the village of Broadway. You can truly feel like The Lady and Lord of the House here as everything is prepared for you. Your stay is tailor-made just for you. Order your food from the kitchen’s pantry and your wine from the wine cellar. The House has 8 bedrooms, a lounge and a large dining room that accommodates 70 guests. You can then dance your night away as the House is yours! You can also choose the beautiful Lower Slaughter House, a hotel with all the necessary charm and 5-star service. Or a fabulously refurbished Inn like the Frog Mill in the Oxfordshire. This Cotswolds Inn will accommodate larger parties with 28 bedrooms on site, plus, the Bridal Suite is to die for! We Love a wedding in a rustic Barn! Brand new, old and refurbished, or great listed buildings – we love them all! This is where lots of couples leave the cities and towns to seek the beautiful rustic countryside. There definitely isn’t a shortage of magical barn wedding venues in the Cotswolds. Yes, they might not always have the accommodation but there is always a cute hotel or inn nearby. There is a newcomer on the scene that has been taking weddings in the Cotswolds by storm. It is Chipping Campden’s Lapstone Barn. You can also enjoy a traditional barn ceremony and a modernised reception at Blackwell Grange. Let’s also have a look at this hidden gem in the heart of Warwickshire, The Swallows Nest Barn. This lovely venue is very accessible and self-contained. Refurbished with lots of love by the owner’s hands this wedding barn will accommodate up to 120 day-time guests and 150 evening-guests. Surrounded by vast land you will have plenty of photo opportunities. Your nearest accommodation can be found the historic town of Warwick a mile down the road. There are lots and lots of stunning venues across the Cotswolds and whether it is local to you or in a neighbouring county, one thing is for sure – your wedding in the Cotswolds will be magical!